The Electrosub exhibition is an extremely important event for us, as this is the first opportunity since several years for meeting our customers in the environment of a trade show dediacated to our field. 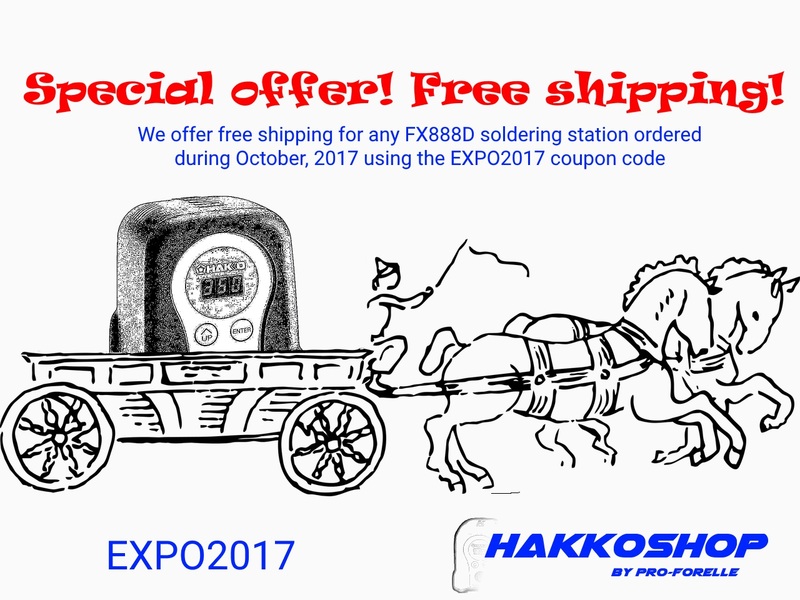 To celebrate this, we are offering a special gift to our customers: we will ship free of charge any FX-888D soldering system, ordered during October, 2017, either through our webshop or through conventional chains. Don't hesitate! Contact us now !